Learn how to measure gamification success. Discover the different subsets of gamification. See how customer-facing and business-facing gamification differ. Read case studies from successful SMBs and enterprises. Although some of the initial hype about gamification has diminished, the market is still growing. According to a recent study by Research and Markets, the global gamification market will grow to $11.1 billion by 2020. With such a huge market and a wide variety of solutions, it can be difficult for first-time buyers to make the right decision. 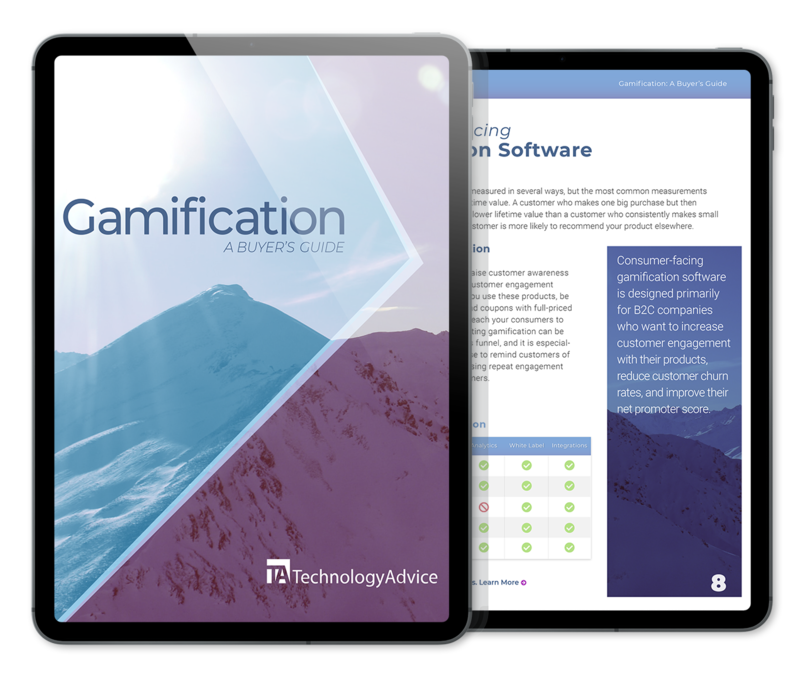 This guide will detail how you should measure the gamification success, the most popular methods of deployment, and use cases for each scenario that can provide a roadmap for your engagement strategy.